NAPERVILLE, IL – The history of the “War of 204” has been one-sided the past few years, but that wasn’t on the minds of the current Warrior football team, as Waubonsie Valley defeated Neuqua Valley, 35-28, in front of over 10,000 fans at North Central College. Because of the success of the run, the Warriors haven’t needed to go to the air much this year. 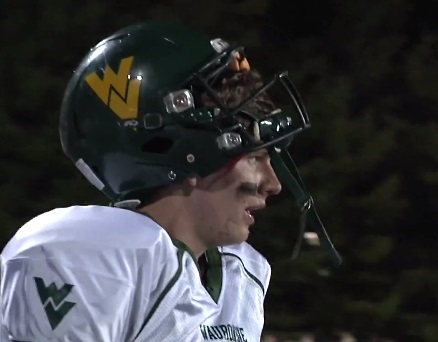 However, Waubonsie mixed up the play calling, and quarterback Zack Bennema answered the call, throwing a season-high 260 yards, throwing for three touchdowns and rushing for two. Casey Keaton had a breakout game, catching 8 passes for 138 yards and two touchdowns, including the game-winner with under two minutes left in the game. 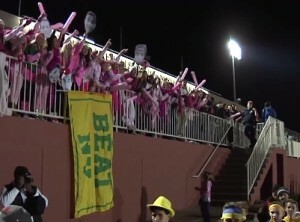 The Wildcats had won the past three meetings, including a quarterfinal playoff game in 2012. 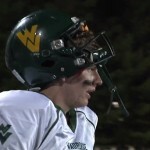 Waubonsie improved to 7-1 overall (5-1 in the Upstate 8). The Warriors host South Elgin on Friday for Senior Night. Kickoff is scheduled for 7:30 p.m. Watch WVTV highlights of the game.